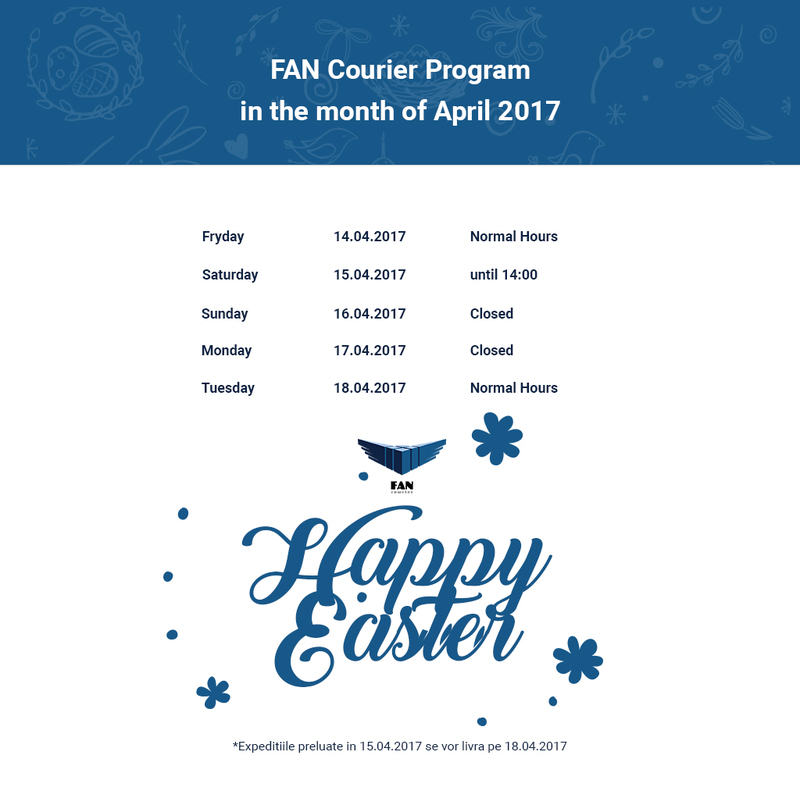 In order to schedule your deliveries without any problems, we are announcing our Easter Working Schedule, as it follows. On Sunday and Monday, there will be no working program, therefore, all packages placed on Saturday, 14th April, will be delivered starting Tuesday, 18th April. FAN Courier wishes all its clients, partners and team Happy Easter Holidays!